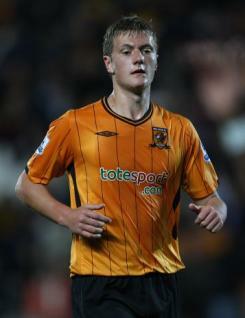 Liam Cooper is a young defender with Hull City. A product of the club?s youth set-up, he made his first-team debut in a Carling Cup game against Swansea City in August 2008 and signed his first professional contract shortly afterwards. Liam went on to make his Premier League debut against Liverpool at Anfield in September 2009, and also featured as a substitute against Arsenal later in the season. However, since then he has struggled to make an impact with the Tigers. He featured three times early on in 2010-11, then spent time on loan with Carlisle in the second half of the campaign to gain some match action. A central defender, Liam has superb positional sense and is comfortable on the ball. He has represented Scotland at U17 and U19 levels.